Our mom always told us that if we ate our veggies, we could have dessert. But what if we told you that if you ate dessert, you could have your veggies? 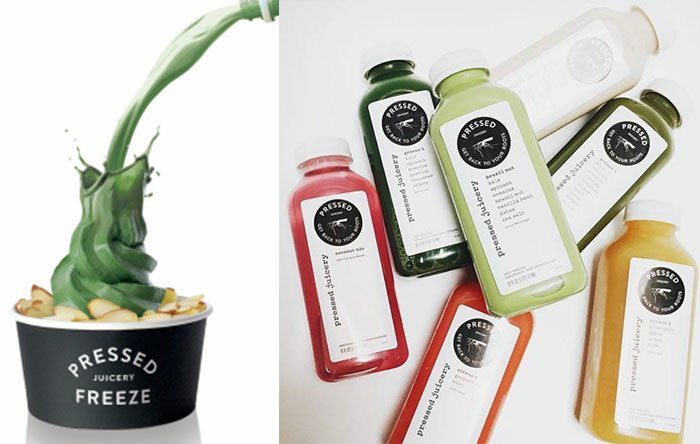 Pressed Juicery has totally flipped the script on dessert logic with the introduction of their new Freezes ($5 to $8). Made exclusively of vegetables, fruits and nuts, the Freezes are based on the Juicery’s cold-pressed juice creations, so start wrapping your mind around soft serve that sounds like it’s a seasonal vegetable plate. The Greens Freeze is made with kale, spinach and romaine, while the Roots Freeze has beets, carrots and ginger.